Ok, so I might be slightly obsessed with Periscope (read slightly...) but it has become one of my teacher wellness treats. I limit myself to about 30 minutes at the end of the day once my planning is done (now that school has started back up again) and have received such valuable information and made invaluable connections. 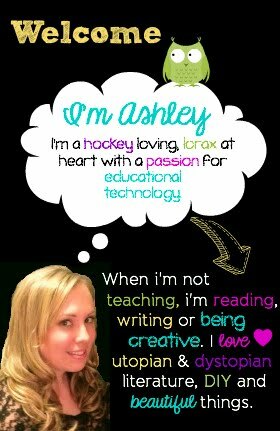 A shout-out to two of my #perifriends Jess who blogs at The Whimsical Teacher and Mikey blogging at Mikey D Teacher Topix, seriously check these two out, they crack me up! Ok this one is completely non-teaching related but let me just say OMG! My bf of almost 10 years told me that he wants me to send him pictures of engagement rings stat... Our anniversary is on September 28th so I will keep you all (or as most of my #teachertoottoot friends would say "ya'll") posted in the weeks to come. Needless to say i'm #superexcited! Be Positive - I recently read an excellent article about teacher types and I want to be a marigold, no walnut tree here! How exciting for you to get to look for engagement rings!! I am getting married next summer (we got engaged on Thanksgiving last year) so enjoy every second - I can't believe how fast it has gone by already! Thanks Lauren :) I love connecting with other techie teachers as well! No better way to find ideas about technology than through technology ;) Very excited about looking at rings, been a long wait but so happy the time has come! I love this!! Blab is AMAZING!! It has been so fun!! I love your goal to be positive this year!! It is such a great goal!! 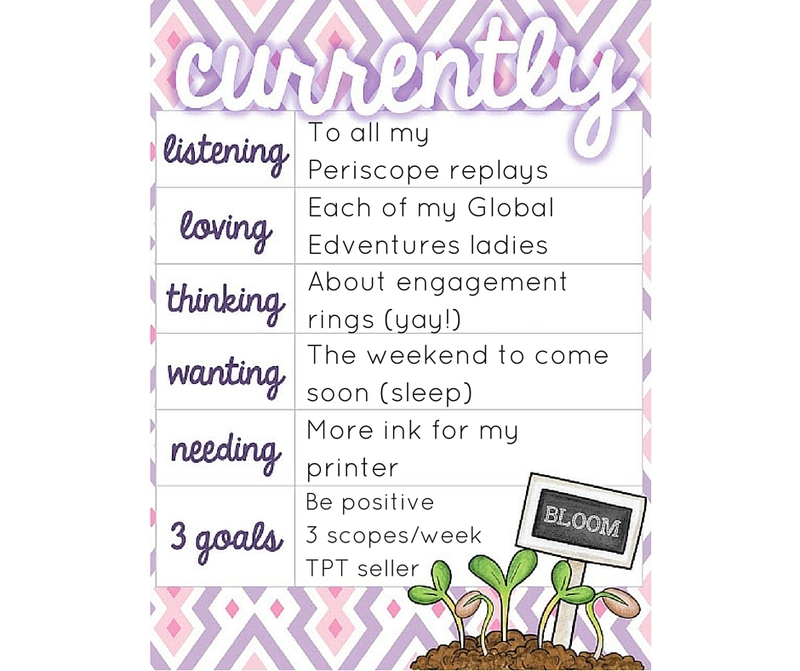 I can't wait to see your TPT store too!! I hope that you start to feel better soon!! ASH!!! I can't believe you gave me a shout out on your blog!!! This blog is soooo cute and your icon looks just like you!! (I've probably said that before!) I hope you keep your goal of periscoping because you are just soooooo good at it!! I gotta catch your international show live some Saturday! I love the name... edventures! hehe! Take care! Aw thanks for stopping by AND for leaving a comment! Not too long ago my mom was the only leaving me comments lol (#lovemymom). I love that you have been scoping more too :) and that we got to blab together last night! Ummmm, girl, I am not worthy of your shout out! For real, you are so sweet. Thank you so much!!!! And, if we are playing tag and I didn't realize it yet... TAG, YOU'RE IT! Awwww Mikey!!! I just saw your post on your new blog ☺️ way to make a girl blush! Lol Been loving your scopes lately btw!